In fact, it might be a little hard to get a hold of all the Turkish meatballs. 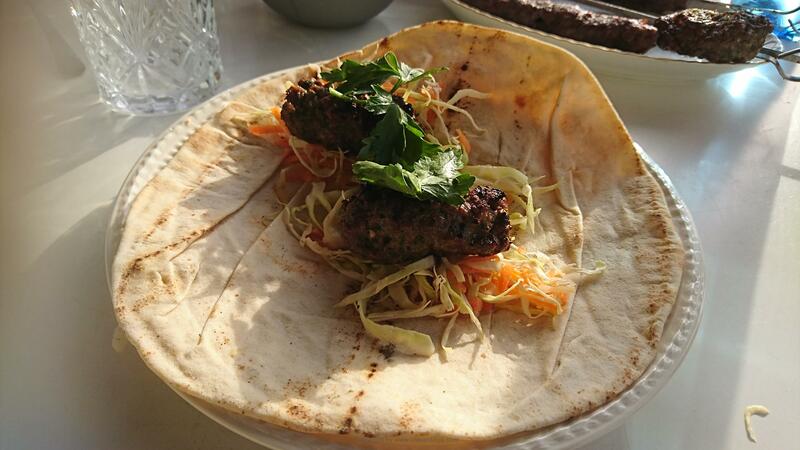 But if you go to a restaurant in Turkey, you are always going to get something good, if you order köfte. 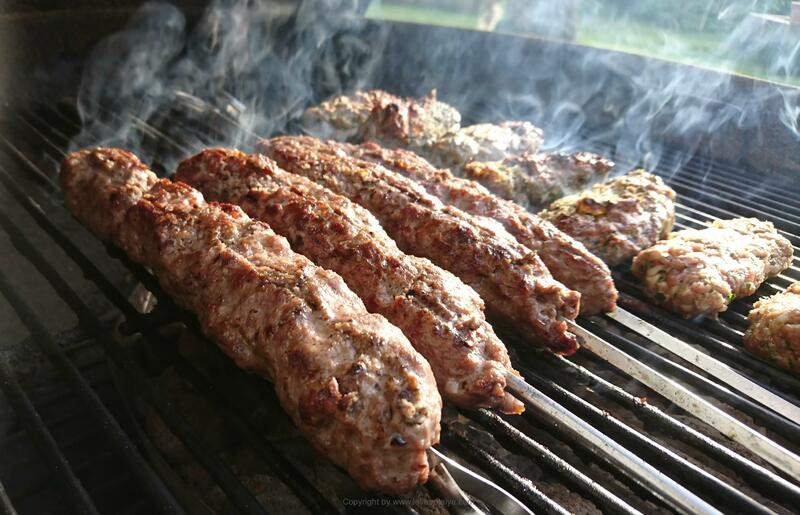 When our kids were younger, it was often köfte, we ordered to them. It was the one thing we just knew, they would always eat (in addition to the pomfritters or rice that is almost always served together). The other day I wanted to experiment a little. I have one kind of Turkish meatballs, my mother-in-law’s classic. You can find the recipe here right here. They have gradually evolved into being my own, because I have adjusted them a bit and using extra parsley according to her original recipe. Fortunately, everyone in the family really likes them. But the other day I wanted to try something new – Tekirdağ Köftesi. I have heard so much good about them, that I was quite curious and had to try and make them. And waauv … I’m not regretting it, because waauv, they were good. Yes, I almost think they are the best I have ever made. Everything just played – meat, flavor, juice, etc. Tekirda Köftesi reminds very much of those, which you can get from most places, when you eat in Turkey. I do not know, though, whether it’s the same. But these meatballs must be elongated – like a finger and taste slightly spicy. They are fairly straightforward and are a bit strange to chew in, because they are just a bit chewy on the crust. But it certainly does not matter to me. Such they should be and I can not at all get my arms down over my head of excitement. My husband also thought, that they were really good, but did best like “Mom’s meatballs” – the original ones. We grilled the meatballs on the barbecue and I was very pleased with that. I just love the slightly smoked taste as the food gets on a real charcoal grill. And it suits these meatballs really well. Additionally, it just smells all over the place when the meat sits on the grill and that higher the expectation a lot. Poor neighbors I just say. I got some really good minced veal / lamb meat, so it was just as it should be and taste. Here it is quite important that the meat has an averafe fat content. 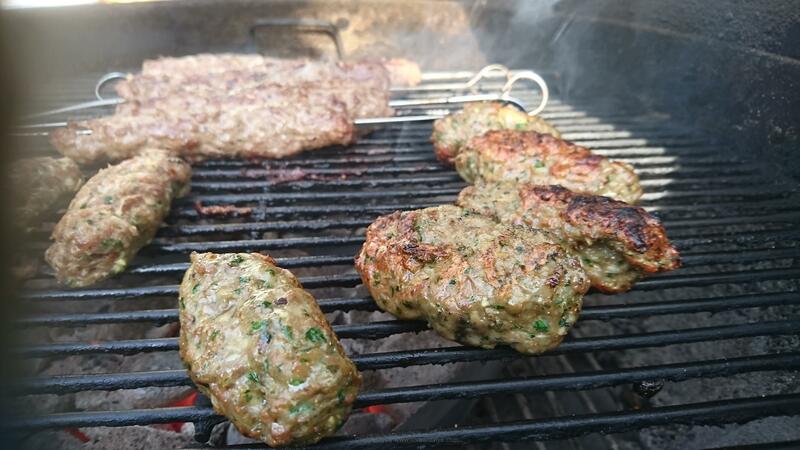 Much of the taste is in the grease, and it also makes it a lot easier to grill and helps so the meatballs doesn’t dry out (although most of the fat drips off, while you grill them). 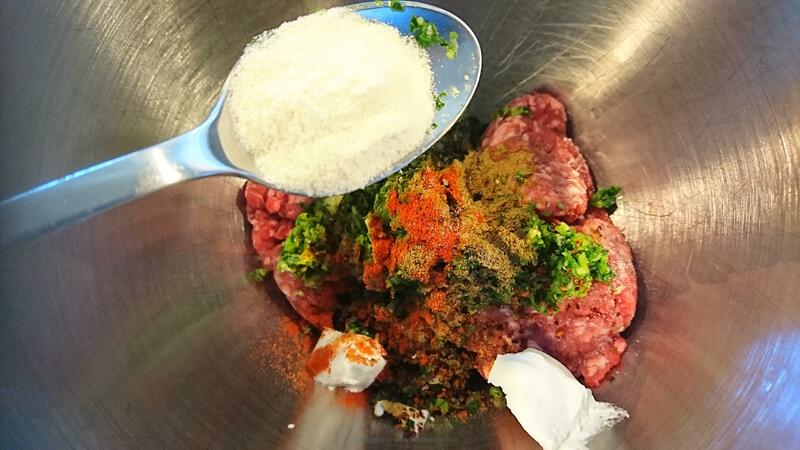 The funny and the whole secret of these meatballs is (yes, sorry, I’m a bit nerded in this area, if you have not already discovered it), that you have to put baking soda in the stuffing. It’s so strange to use this in a stuffing !!! But that’s the way it is, and I’m sure that’s why they get so good, not heavy and a bit chewy. So just make an effort … you will not regret it. Tekirda Köftesi originates from the Marmara region all the way up north. 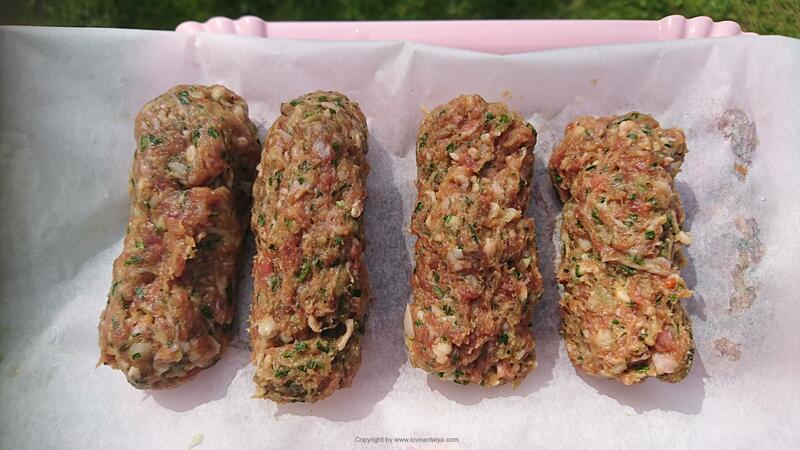 The city is famous and notorious throughout Turkey for this type of köfte, and you can feel why, when you taste them. This recipe is not just from one restaurant in the area – for the simple reason that no restaurants give their recipes voluntarily. So my recipe has been appeased after looking at a sea of other recipes at Tekirda Köftesi. But the result tastes as good as the real product. 500 grams minced veal/lamb meat, but there must be lamb in order to get the right taste. 4: Molded for elongated meatballs - like approx a finger. There must be 12-15 pieces. If possible your wet your hands sligthly, so they meatballs are easier to shape. 5: Put in the fridge and let them pull for a couple of hours - it helps to develop the taste, so prioritizes this part. If you only serve meatballs with rice, bulgur or the like and without any other accessories, I would like to double the recipe. Just enough for 4 people. It's very important that you prioritize letting your filling rest for a couple of hours before you need it. This helps to develop the taste and make the filling more solid. Of course you can also do them right away, but it will not be as good as if it rests. Use Semolina flour or eg corn flour / grit in the farmer. If you use regular wheat flour it gives the meatballs a heavier consistency and that's not what you want in these free dishes. They must be light with a little cool crust.